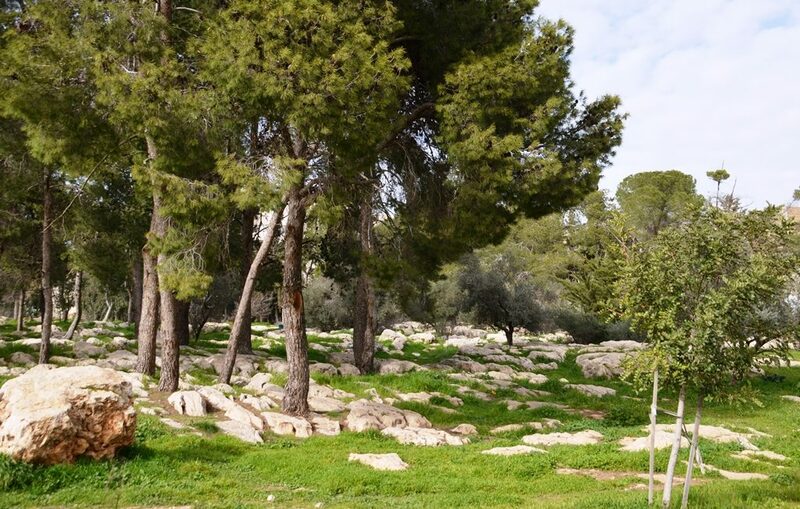 In Jerusalem, Israel, it is hard to predict what will happen next during the winter. One day it’s rainy and grey. Then the next day, skies clear and the sun warms up the streets. Inside is another story, even with heat my feet are cold wearing boots or furry slippers. 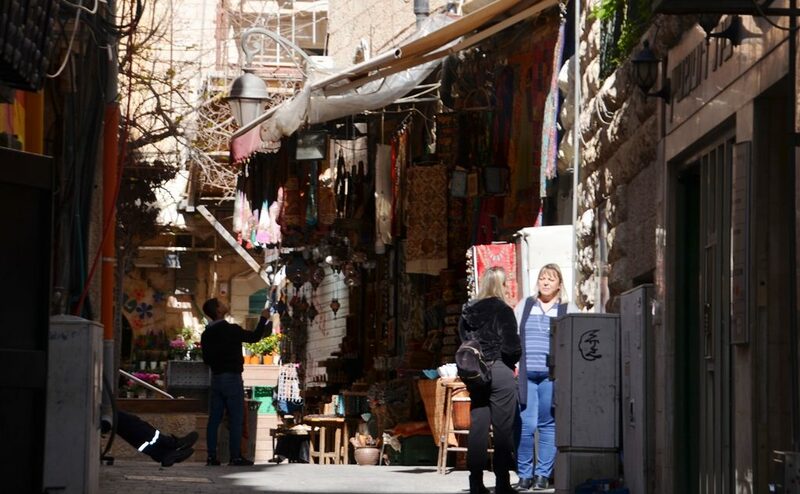 But if you get out and walk on the Jerusalem streets, oh the colors you can see. In the morning a shopkeeper gets ready for the day in his little alleyway. 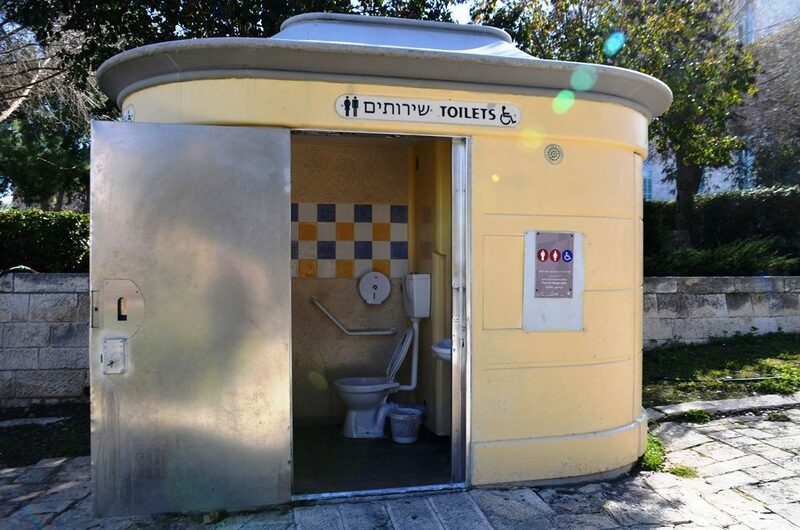 You can see the public toilet in the park is clean. 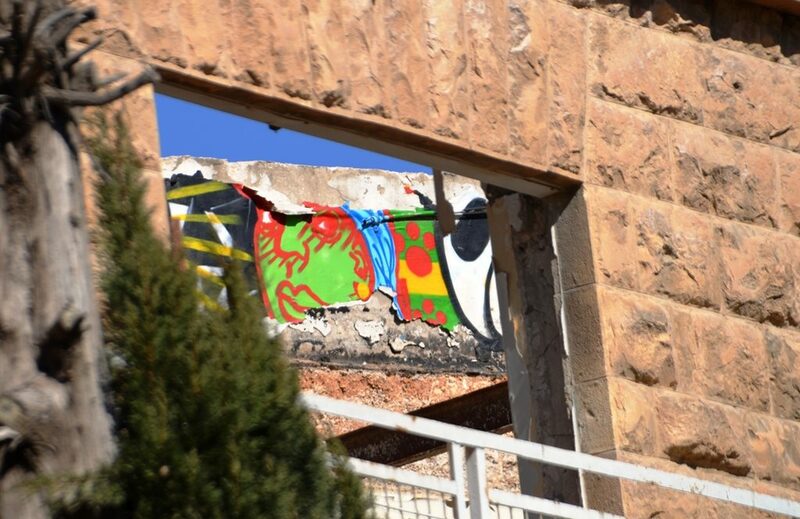 You can see graffiti and a clear blue sky in an old building under renovation. 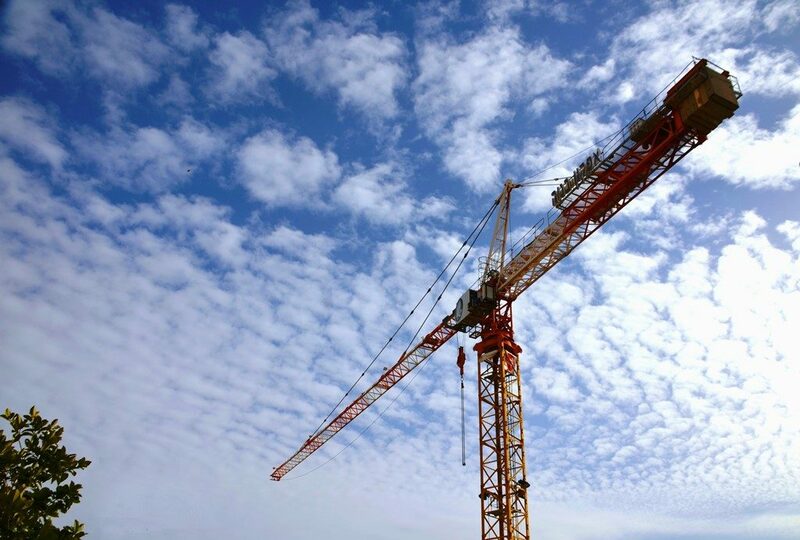 You can see the blue sky through white clouds, and building cranes reaching toward them. 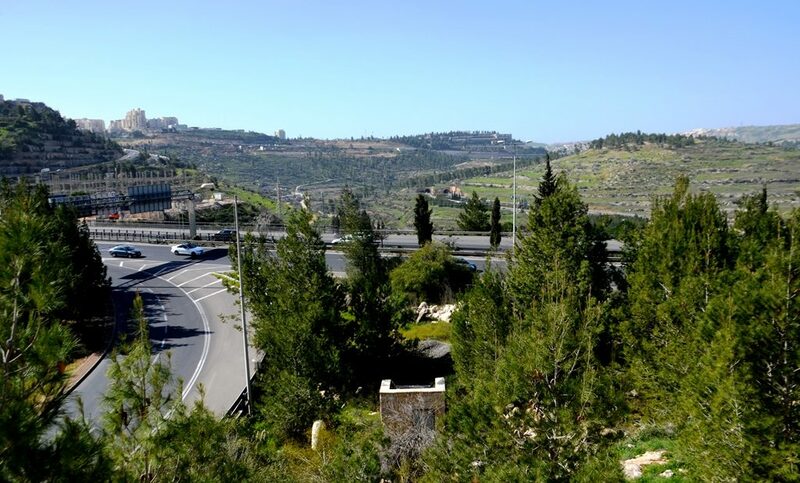 You can see the construction for new light rail stations, this view from Har Hotzvim. 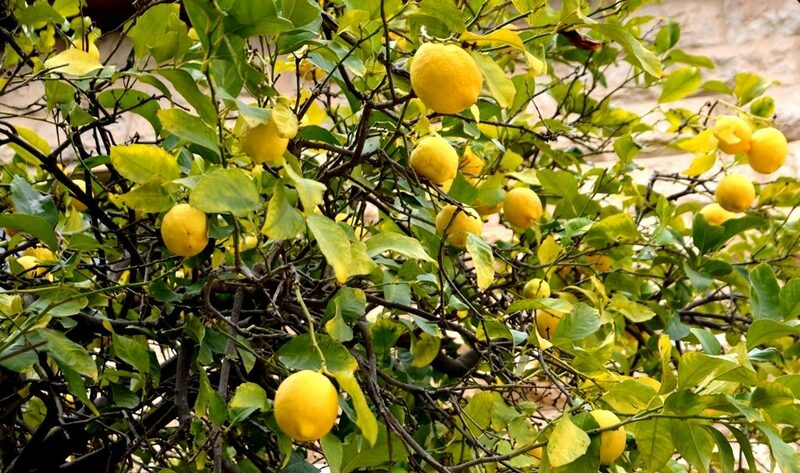 It is winter, look up and see the lemons are yellow on the tree. Look down you can see yellow flowers on the ground. 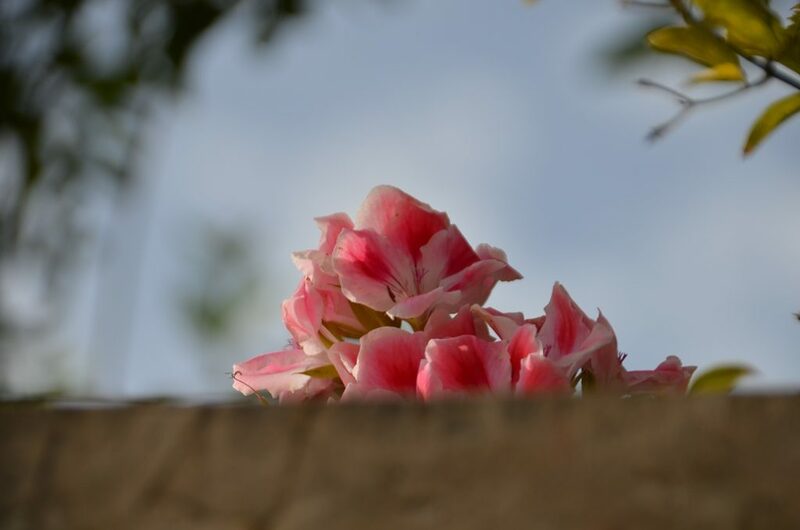 Here pink flowers are peaking out on top of a wall. 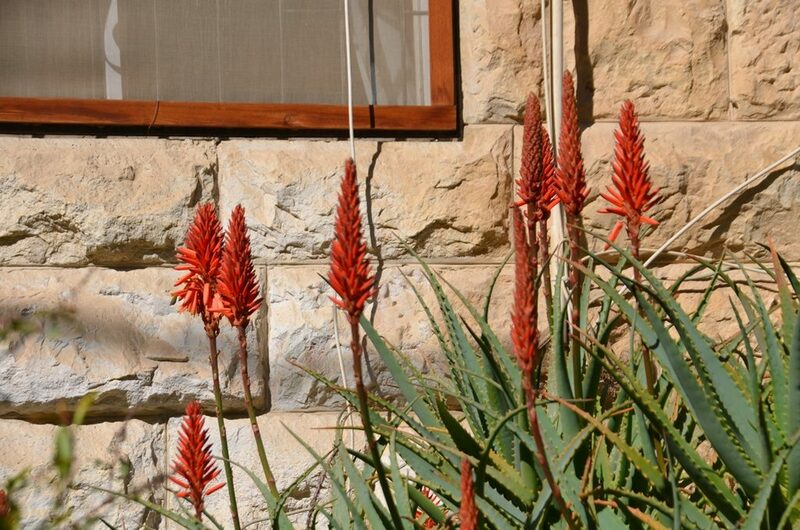 Those orange aloe flowers abound. 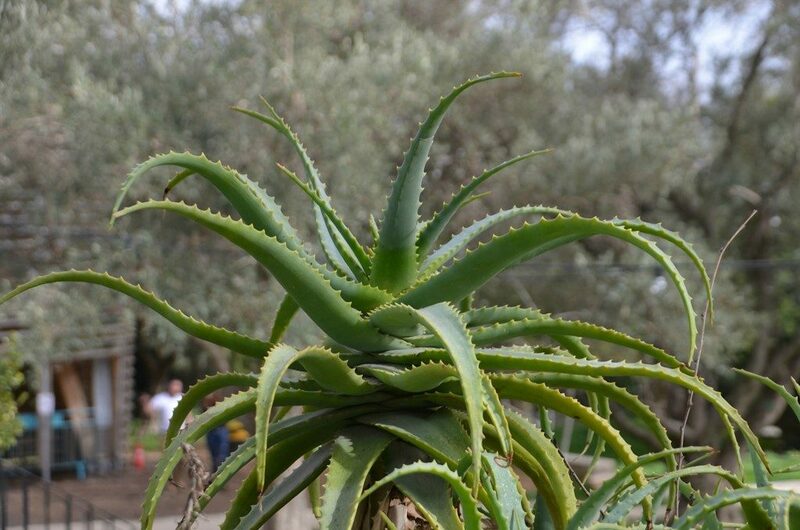 In Hansen Garden the aloe plants are huge and green. 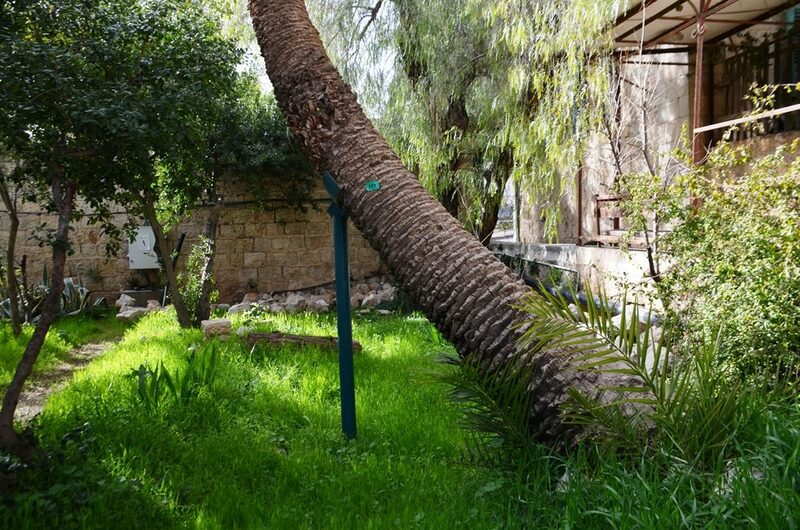 This old brown palm tree needs to be propped up, but the ground is covered in green. In the park across the road, after winter rains it is also green. And the blossoms can be seen on trees all around. 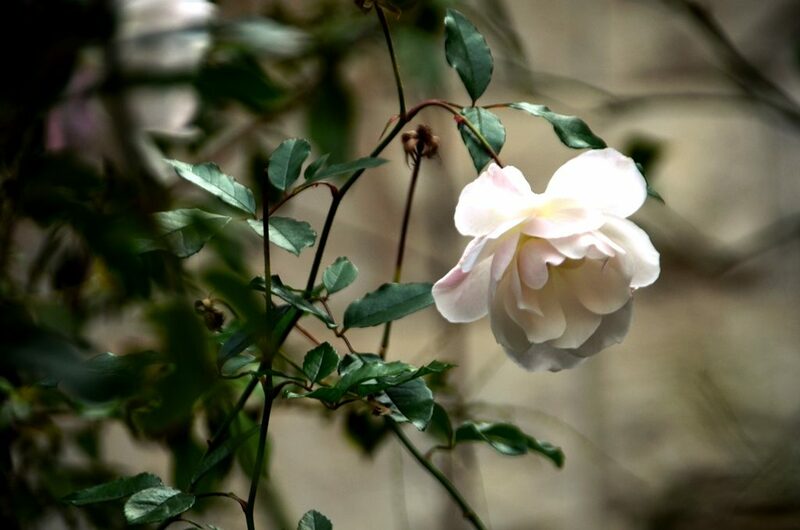 Winter and delicate roses are in bloom. 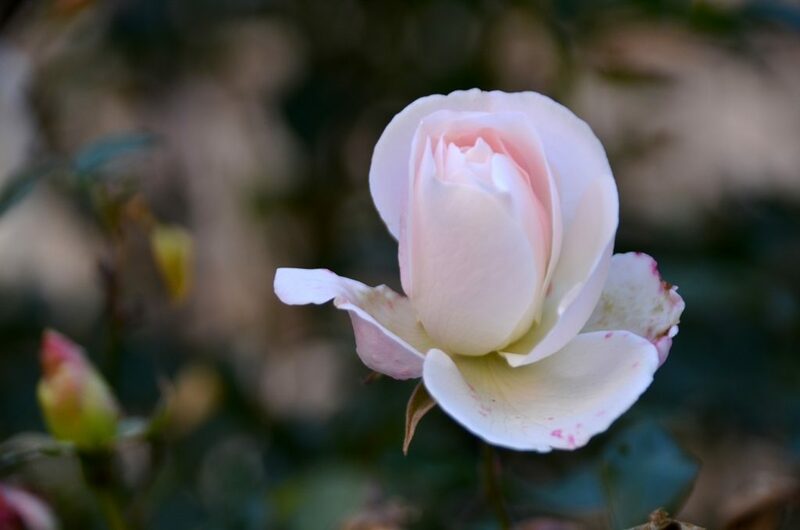 White or pale pink, I love the ones that bloom in winter. 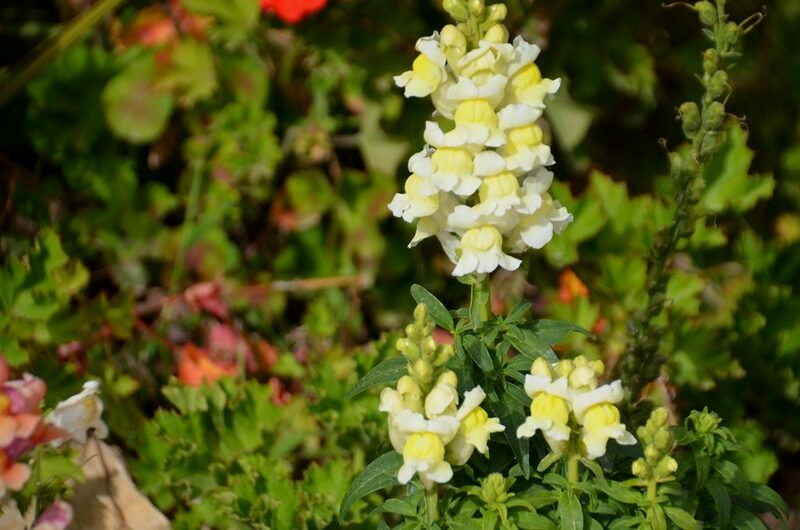 As much of the northern hemisphere is frigid and covered with snow, here in Jerusalem flowers flourish outdoors in winter. 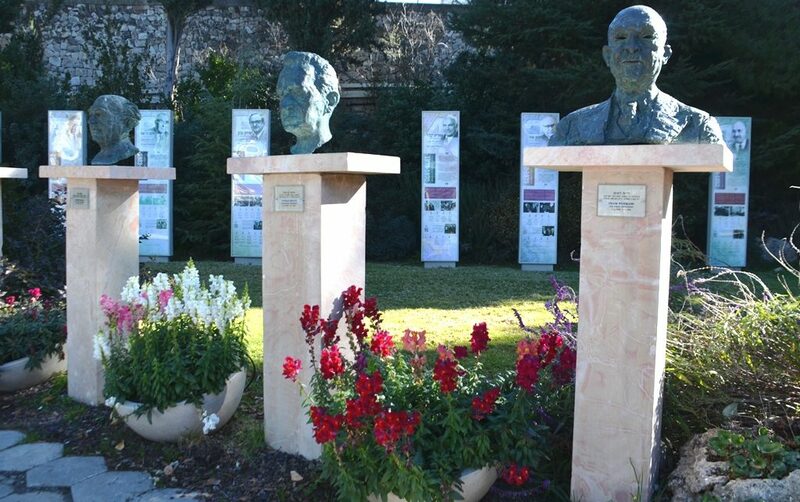 These flower pots at Beit Hanasi, the Israeli President’s Residence, are hard to see from the street. 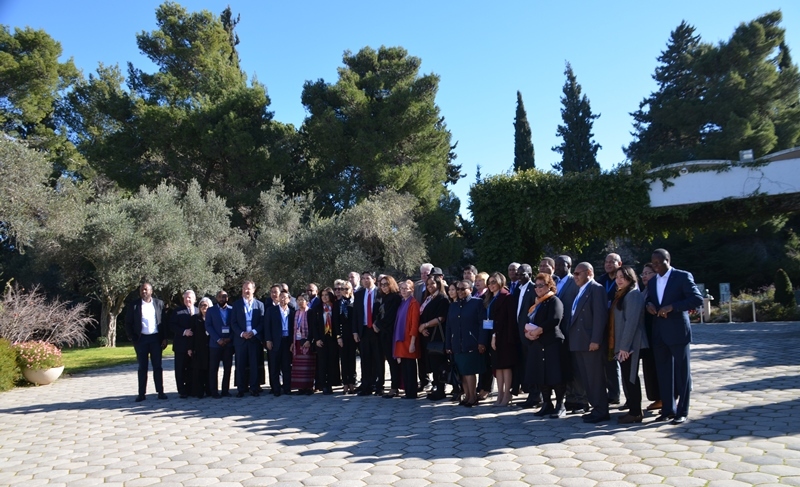 But once inside, even the 28 visiting UN Ambassadors stopped to have a look and pose for a photo. 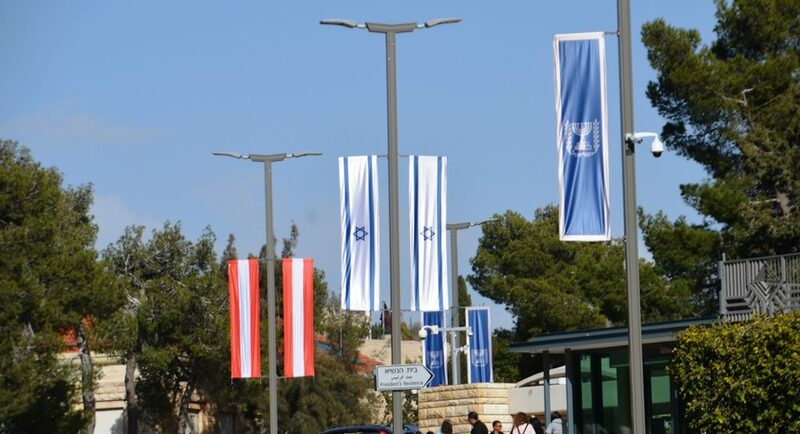 Oh the colors of flags you can see in Jerusalem! The President of Austria received a red carpet welcome along with his red and white flags. 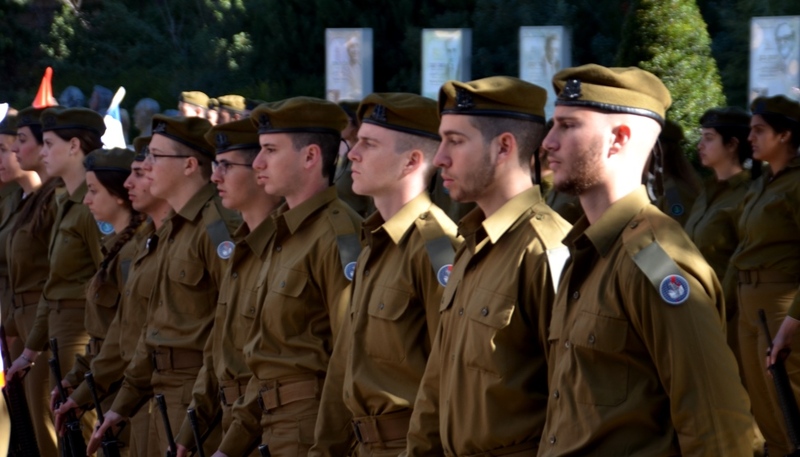 and see the colors of an IDF honor guard. 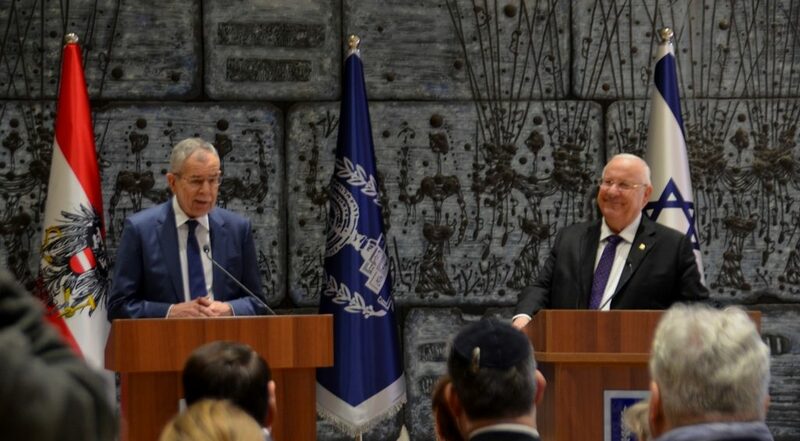 President Alexander Van der Bellen spoke on serious issues, of the Holocaust and antisemitism. 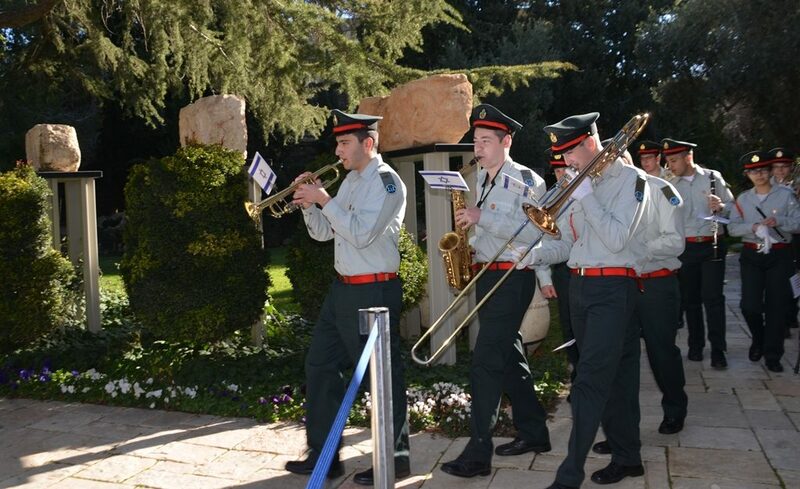 But you could see a smile on President Rivlin’s face when he mentioned schnitzel. There were many blue and white flag lapel pins, for Israel and for EU. 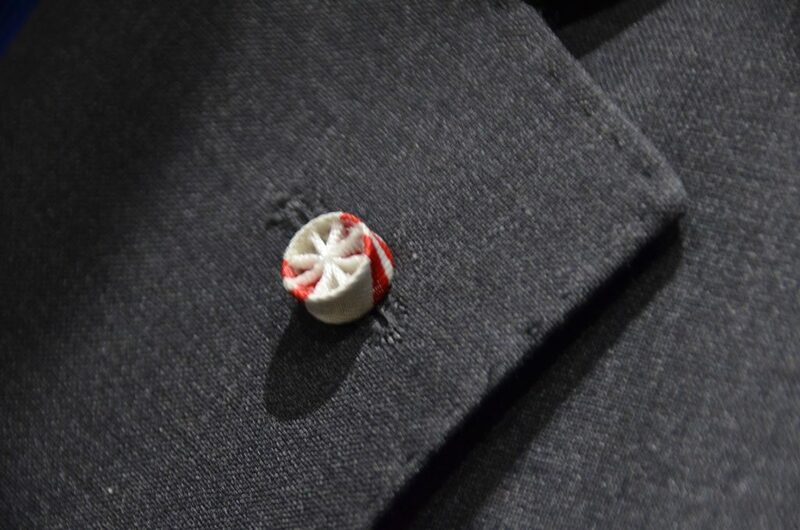 If you looked hard you could see this tiny, red and white lapel pin. It made me think of candy canes. The presidents met so long not many stayed around to see the pen did not work when signing the guest book – Oops, quick get a new pen. Across the street at the Islamic Museum there is a new exhibit. 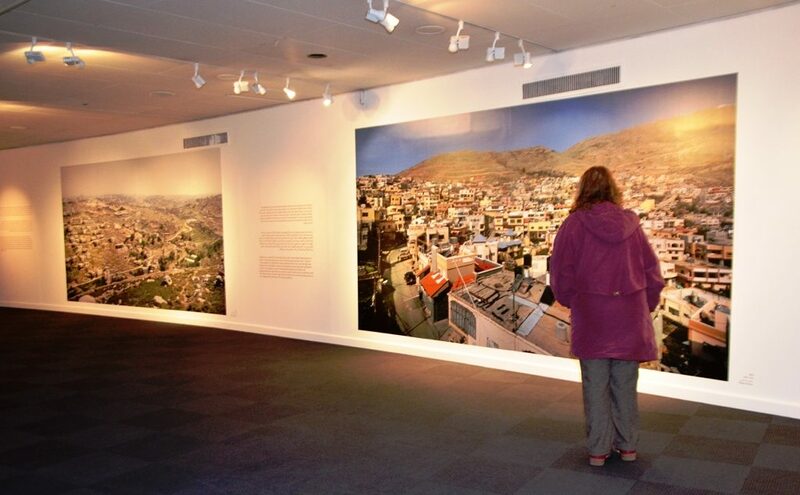 These large photos are printed on special wallpaper like panels. Taken with special camera equipment, you can see fine details. 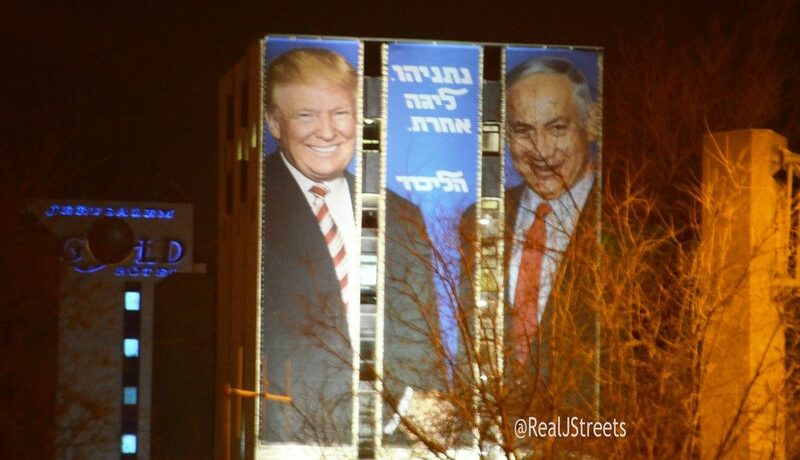 However, at the entrance to Jerusalem you can see even larger photos. It’s election time again. The Likud Party had its primary elections yesterday. Winners and losers and predictions flow from pundits over the air waves. 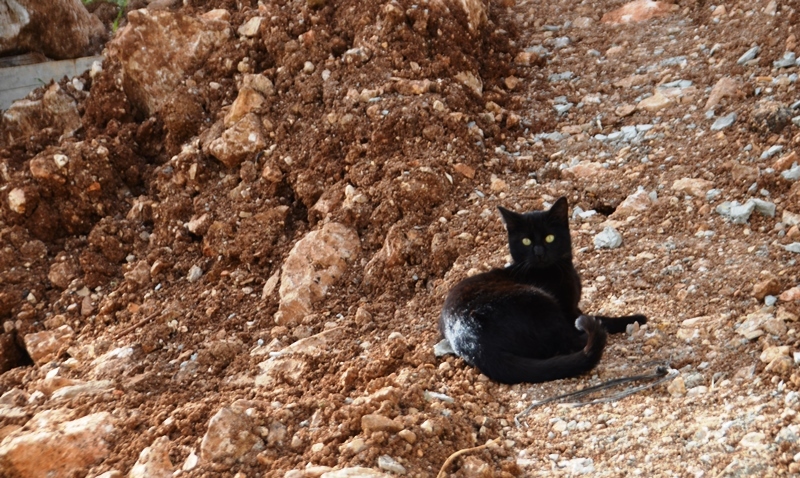 But no matter who wins, when the weather clears, and one gets out to walk on the Jerusalem streets, chances are you can see a black cat staring back. Thank you, appreciate your commenting, and Chodesh tov. 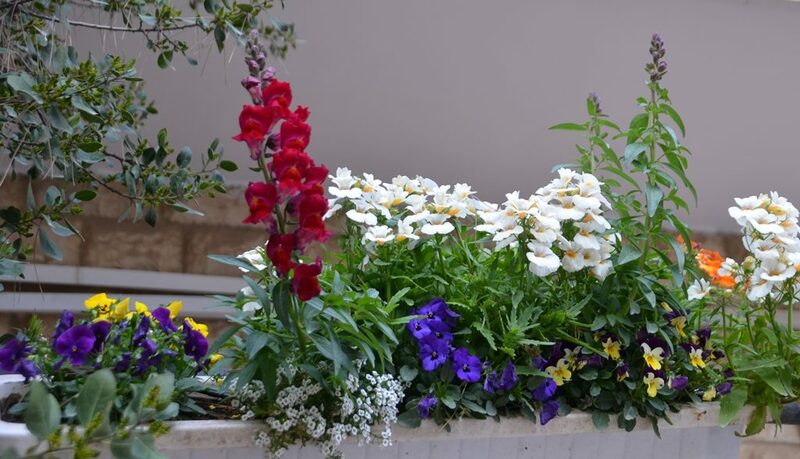 Thanks for your beautiful photos – next time I’m not hurrying to get back to Modiin, I’ll stop to smell the roses and delight in the colors of Jerusalem. Nice work, as always Sharon! !